We take pride in going beyond what’s required by U.S. Department of Transportation (DOT) and the National Highway Traffic Safety Administration (NHTSA) guidelines for safe vehicle operation. Every vehicle in the Speedy Wiz Transport fleet is less than 5 years old. All of our top quality vehicles are of the best quality and are maintained to the highest standard of cleanliness and performance, ensuring the safest, uninterrupted service. Each vehicle includes the conveniences you’d expect, such as stereo, air conditioning, heating, reclining seats and 3-point harness seat belts. All of our vans and buses offer center-aisle access. Each vehicle is routinely tested before and after each trip for safety, tuned for maximized fuel usage, and updated as needed to maintain the high standard of excellence we expect from our entire fleet. As owner-operators, we are able to quality control our vehicles for the best performance, creating savings for us that we gladly pass along to our customers. 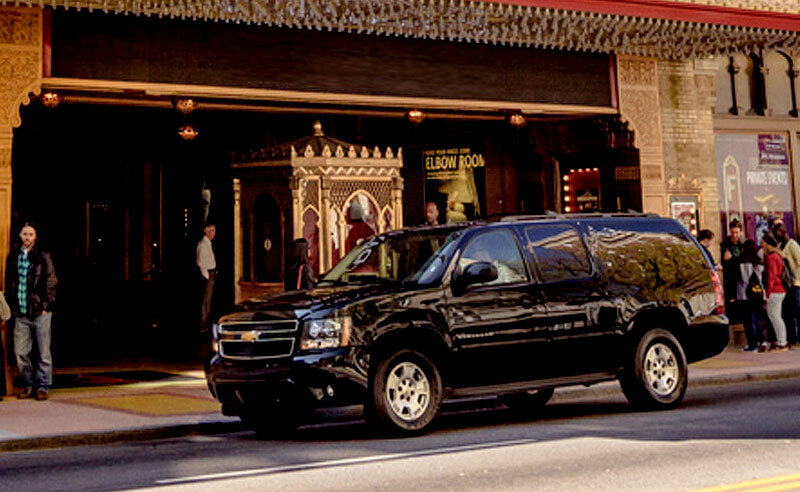 If your outing is for fun on the town with a few friends or family members or if you want to transport an executive in style, our SUVs are the perfect fit! They’re great for private travel, concert transportation and private designated driver service. The versatile and comfortable Corporate Passenger Van has seating for 12 adults and is ideal for small to mid-sized groups. We offer van service for any transportation needing, including corporate shuttles or shuttle service, concert transportation and more. The Corporate Shuttle Bus has seating for 14 adults and is the perfect choice to comfortably carry small and mid-sized groups. 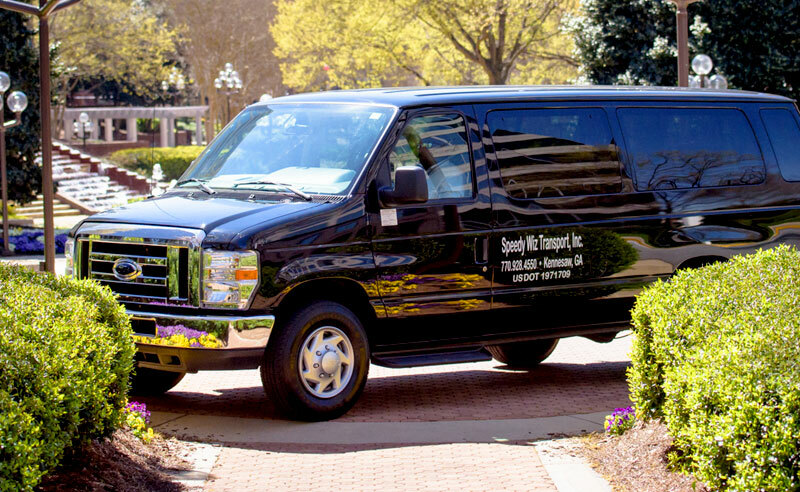 It’s ideal for a private shuttle, group shuttle or small group corporate transportation. We offer a variety of passenger bus transportation options for large groups that fit all types transportation needs and look great, too. 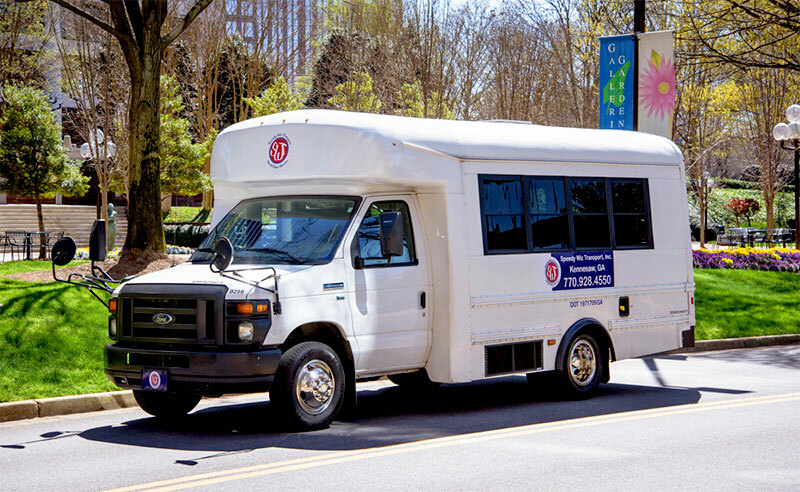 In addition to all of the expected conveniences, our luxurious buses have center-aisle access, rear heat and air, individual overhead lighting, overhead storage, rear door access, emergency window exits and comfortable reclining seats. Choose Speedy Wiz for all of your bus service needs!